Your Favourite 50p coin EVER, revealed! The top four shortlisted coins have now been whittled down to one final winner, and it comes with great pleasure that I can now announce to you the favourite 50p coin ever, as voted for by Change Checkers. Known as ‘the longest day’, the 6th June 1944 marks the day that a mighty alliance of British, American and Commonwealth armed forces crossed over from England to Normandy and began an assault on occupying German troops. The D-Day landings were the largest naval, air and land operation in history, which began the Allied invasion of occupied Europe – one of the most pivotal moments in the Second World War. In 1994, to commemorate the 50th anniversary of these D-Day landings, The Royal Mint released a 50p coin designed by sculptor John Mills. The design depicts an armada of ships and planes heading in one direction. The coin has a mintage of 6,705,520 however it ceased to be legal tender in 1997 after the introduction of the new, smaller 50p coins. A close second to the D-Day Landings 50p was the 2017 Sir Isaac Newton 50p – a coin which was voted Change Checker’s favorite coin of 2017 and the most historically significant coin. Coming in third was the Beatrix Potter 50p and the Olympic Football 50p was in fourth place out of our shortlisted coins. With over 70 different UK 50p coin designs, choosing a favourite was never going to be easy, but I think you can agree that the rich history and significance of the coin, as well as the epic design of the D-Day Landings 50p makes it a very deserving winner of the title Best UK 50p Ever. Your favourite coin design of 2017 revealed! We know how much you love a new coin design so earlier this month we asked you to vote for your favourite 2017 release. THE SIR ISAAC NEWTON 50p! Sir Isaac Newton is widely recognised as one of the most influential scientists of all time and a key figure in the scientific revolution. He changed our understanding of mathematics and physics, redefined the way we see the world and shaped the security of our currency in his role as Master of the Mint. 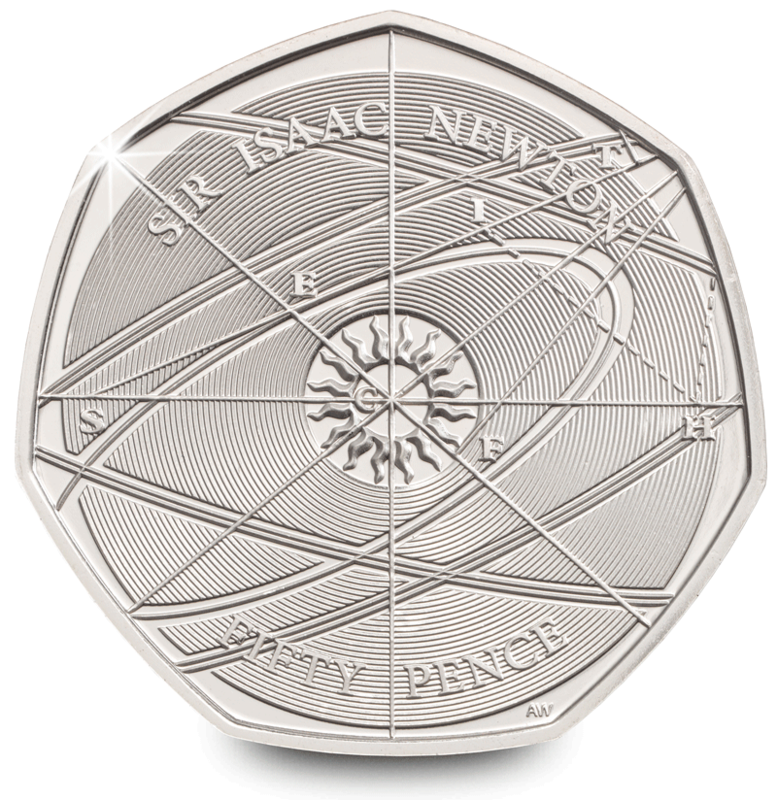 Designed by Aaron West, this 50p coin has been issued to commemorate the achievements of Sir Isaac Newton and remembers the legacy he left. As part of the Great One Pound Coin Race, we want to find out Britain’s ultimate favourite £1 coin. Over the last couple of months we’ve been asking Change Checkers to vote for their favourite UK, Scottish, Northern Irish, Welsh and English £1 coin designs. Now this is the last poll left to vote in until we find out which £1 coin is Britain’s all-time favourite design.